Our unique management team stands ready to meet the most demanding security requirements. Let us put our background expertise and experience to work serving you and your company. We are committed to providing the highest quality of service in contract security, investigations and background screening. Viper Security and Investigation takes pride in the wide range of services we provide. We have the flexibility to tailor our service to meet our client's requirements whether is special uniforms, special duties or both, Viper stands ready to answer the call. Viper has the experience, skills and expertise to provide any organization with a thorough, ethical and professional investigative service. Viper's investigators are skilled at working in both metropolitan and rural environments. Viper Security and Investigation, L.L.C. is a fully licensed, investigative services company offering background criminal records checks as well as a menu approach to meet your personnel background screening demands. 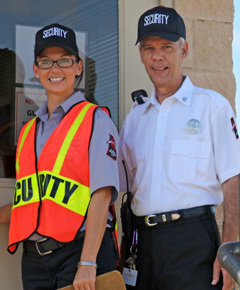 Let our management team take care of all your security requirements. We have the expertise and experience needed to provide you with the highest quality service in contract security, background screening, and private investigations. We are the fastest growing security company in Texas for one simple reason, we don't just talk about quality service, we deliver it! We provide a full range of contract security and investigation services in addition to our unique background screening capability. The management team of Viper has the experience, education, training and skills to meet the most demanding requirements. Viper's mission is to deliver the highest quality service in the contact security industry. Viper's skilled investigators are experienced working in both metropolitan and rural environments. Viper offers thorough background screens that are fast, reliable and cost effective. Texas based, licensed, security and investigations company that provides quality service and cost effective solutions for the most demanding requirements.